jeszrob, 04 Sep 2012I had this prob with the SMS limitation so wen thru all the options in Settings for SMS and ne... more..Sorry allow me to correct myself..
*then go to the setting and select "input mode"
*then tap and select "UNICODE"..
Making this selection allows me to send long messages. NOTE: Am using a SunCellular SimCard on this phone and sending Keywords (for registration) to the provider (e.g 2366, 247, 386, 2300) for services will not work using this selection.. Just switch it back to GSM should you need to send keywords. GFAN WF07 SP 8 XDA Version what can you say about this custom rom? Is it a english version? jeszrob, 04 Sep 2012I had this prob with the SMS limitation so wen thru all the options in Settings for SMS and ne... moreyou must download "GO SMS pro" from the market/google play. the sms is up to 120 characters..try it! dear friend if you have any sms problem used this custom rom http://www.4shared.com/rar/2_zmvADq/GFAN_M110S_W­C13_FTE9K_ODEX_SP4.html your sms problem will be solved becz this custom rom english root and unlimited sms or you can also set text message limit..note used only Gingerbread WC13. is all the apps n games work same as galaxy s or the quality is a bit diffrent??????????? ?plzzzz replyy!!! 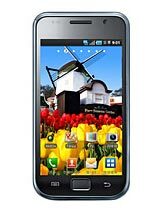 GFAN WF07 SP6 XDA VERSION: can any one plz tell me about this custom rom experience. I have fixed the 80chars problem by flashing gsm sp1 rom from xda and it lets me send as much as i want. Phone is super. But i want to unlock 80 bytes sms.Please help me.